1Not available with special financing, lease and some other offers. See dealer for details. 2Not available with special financing, lease and some other offers. See dealer for details. 3Conditional offer. Not available with all other offers. Stackable % Cash Back for customers who have owned or leased a 2005 or newer non-GM vehicle for a minimum for 30 days. Must take delivery by 4/30/19. See dealer for complete details. 4Lease Loyalty Purchase Private offer to eligible 2014 Chevrolet, Buick GMC or Cadillac lessees only toward the purchase only of certain Chevrolet vehicles. See dealer for details. 5Must qualify through GM Financial. Not available with special finance, lease, or some other offers. Take delivery by 04-30-2019. See dealer for details. 1Not available with special finance or lease offers. Take delivery by 04-30-2019. 2Conditional offer. Not available with all other offers. Stackable % Cash Back for customers who have owned or leased a 2005 or newer non-GM vehicle for a minimum for 30 days. Must take delivery by 4/30/19. See dealer for complete details. 3Lease Loyalty Purchase Private offer to eligible 2014 Chevrolet, Buick GMC or Cadillac lessees only toward the purchase only of certain Chevrolet vehicles. See dealer for details. 4Must qualify through GM Financial. Not available with special finance, lease, or some other offers. Take delivery by 04-30-2019. See dealer for details. 1Conditional offer. Not available with all other offers. Stackable % Cash Back for customers who have owned or leased a 2005 or newer non-GM vehicle for a minimum for 30 days. Must take delivery by 4/30/19. See dealer for complete details. 2Lease Loyalty Purchase Private offer to eligible 2014 Chevrolet, Buick GMC or Cadillac lessees only toward the purchase only of certain Chevrolet vehicles. See dealer for details. 3Must qualify through GM Financial. Not available with special finance, lease, or some other offers. Take delivery by 04-30-2019. See dealer for details. The Chevrolet Silverado 3500HD is a full-size, heavy-duty American work truck. It's a highly rated truck with a comfortable ride and quiet cabin, designed to carry the heaviest loads. It is available in a number of trims and engines, and helps you with the toughest jobs with a max payload of 7,153 lbs. and trailer-towing capacity of 23,300 lbs. There are three cab styles, two bed lengths, and three engines, allowing you to decide how much power you need. 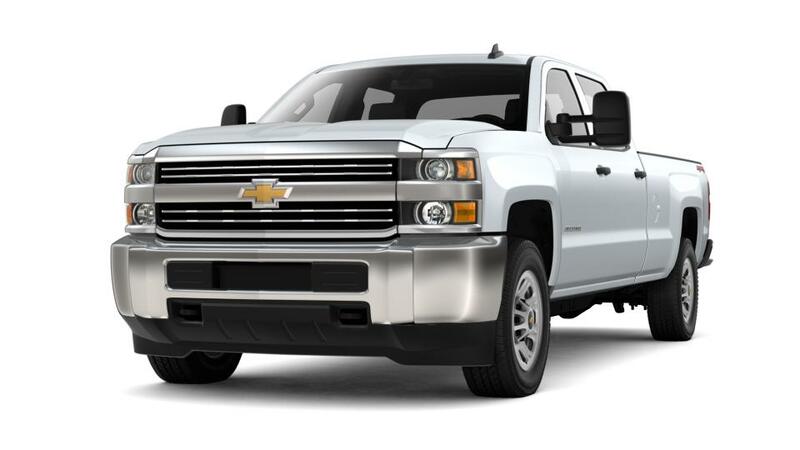 Search our inventory of new Chevrolet Silverado 3500HD models in Midland to decide on the color and options that you're looking for. Stop by our dealership, All American Chevrolet of Midland, near Odessa and Andrews, to learn more. Why do so many drivers love the in Midland? There are a number of cab styles, bed lengths, and engine options depending on how much power you need. Look through our inventory of s in Midland to decide on the color and options you need. For more details contact us at (866) 852-2154 about buying or leasing a .